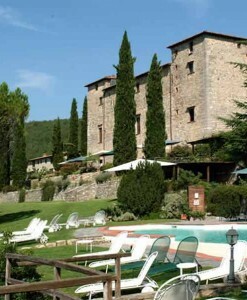 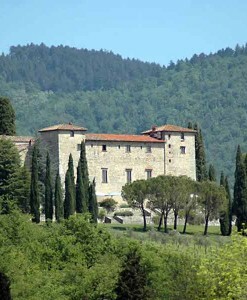 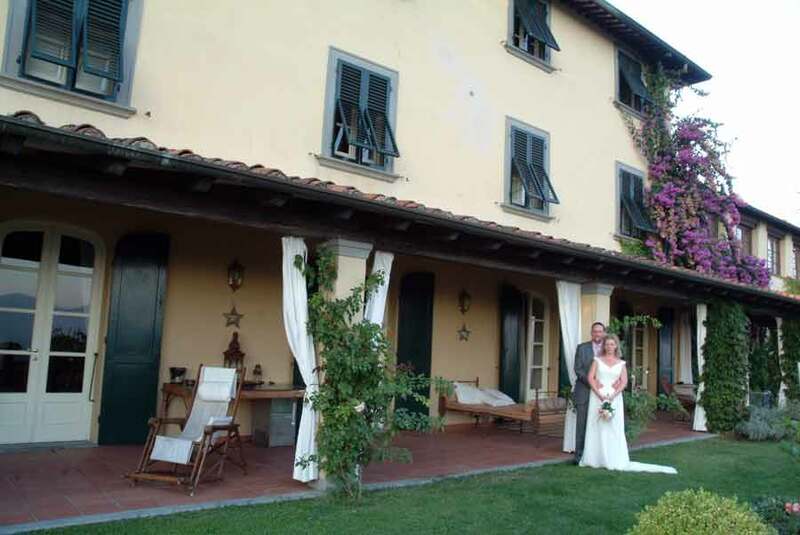 For a really private occasion, this is a 17th century convent converted into a beautiful home and situated in a stunning location immersed in a landscape of roses, lemon trees and olive groves on a hillside outside the wonderful medieval city of Lucca. 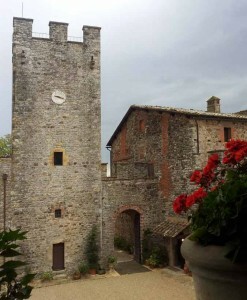 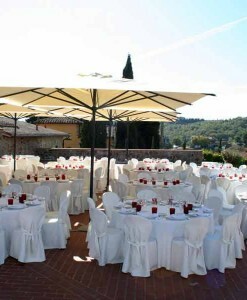 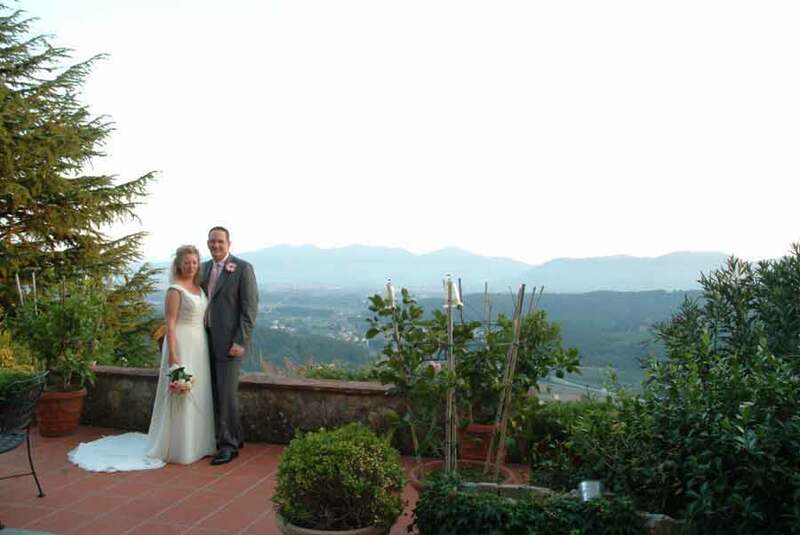 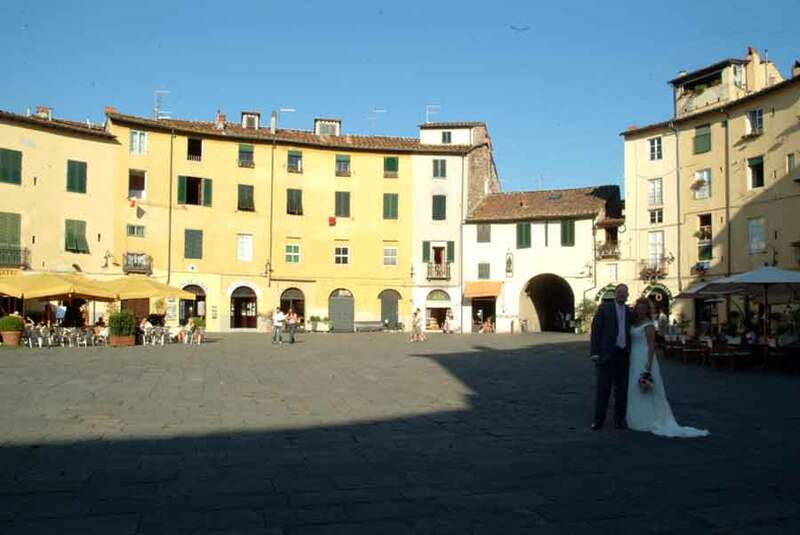 Just 7 kms from Lucca centre, and within one hour of Pisa airport, yet close to the beaches of the Tuscan coast, this is a splendid choice for a really intimate wedding with friends and family. 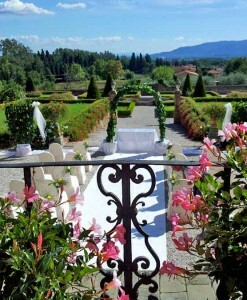 The villa, with private swimming pool, can sleep up to 18, with 9 bedrooms and 10 bathrooms. 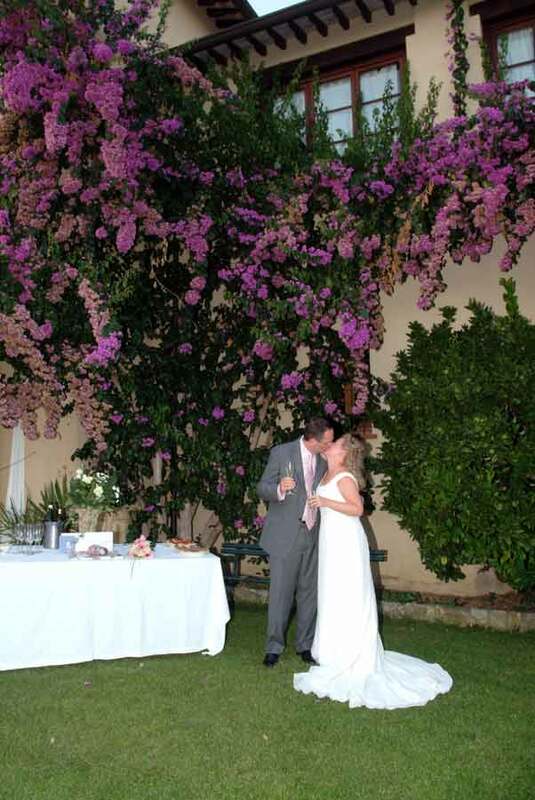 In high season it is rented on a weekly Saturday to Saturday basis, but for mid and low season wedding celebrations, it is also available for stays of three nights only, making this ideal for your wedding. 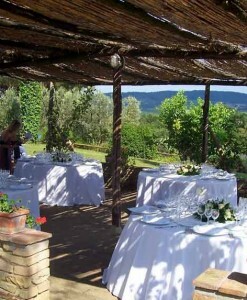 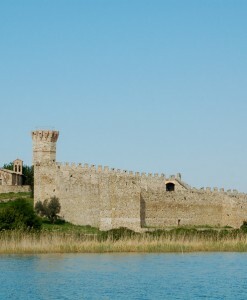 For larger groups, accommodation in the immediate area can be arranged. 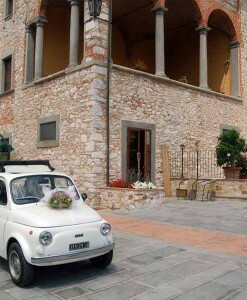 For Protestant and symbolic weddings, there is an enchanting private chapel. 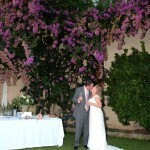 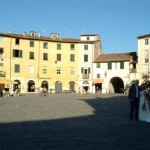 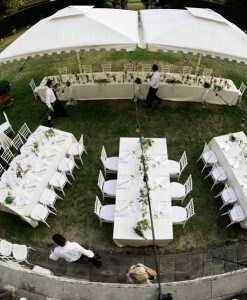 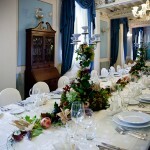 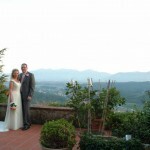 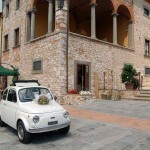 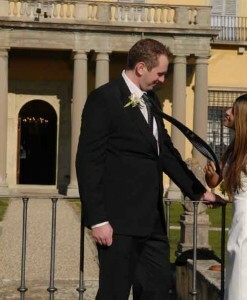 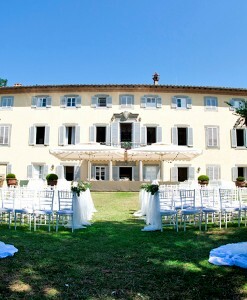 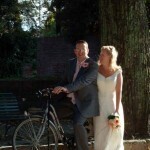 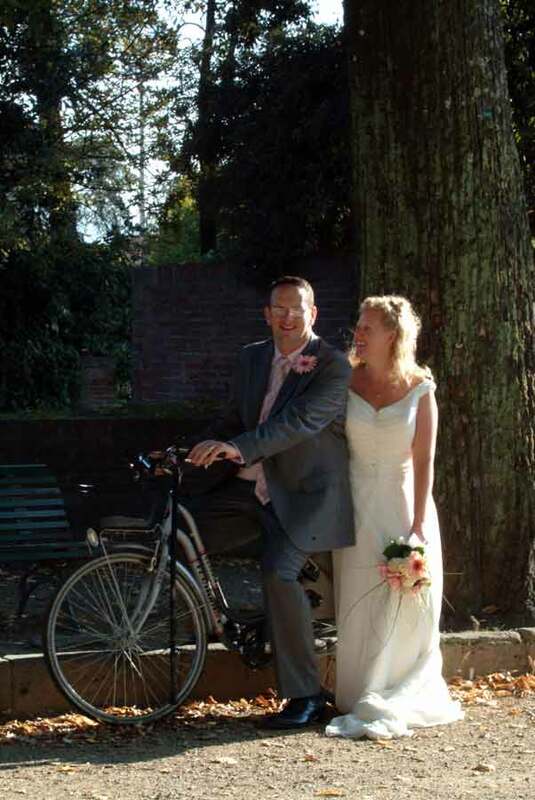 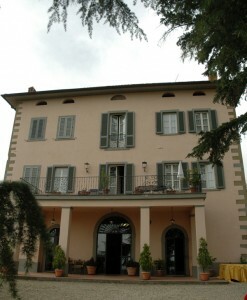 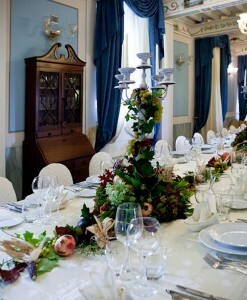 Your civil wedding will be held in the wonderful Sala Verde at the fine old town hall in the centre of Lucca. 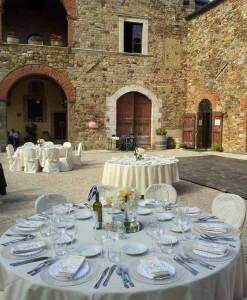 After you will celebrate under the stars, enjoying truly exquisite Tuscan gourmet cooking, with each dish prepared with seasonal local produce.